The game of basketball has provided fans with some of the most exciting moments in sports history. The half-court buzzer beater. The slam dunk over the heads of defenders. The inspirational Cinderella story. While many other sports have the tendency to induce intense boredom, basketball is non-stop, fast-paced entertainment! 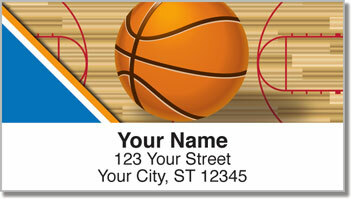 Support your favorite b-ball squad by sticking return address labels featuring the team's colors. 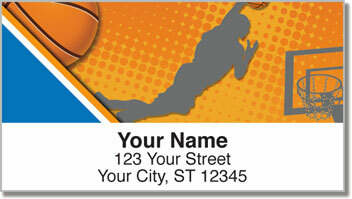 Blue & Orange Basketball Labels from CheckAdvantage are for dedicated fans and athletes who never miss a second of action on the court. Plus, these labels are also a convenient time-saver. 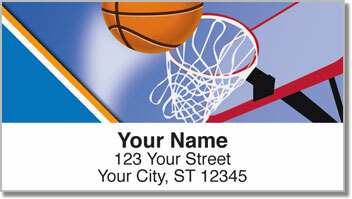 Use them to eliminate the annoying task of writing out your name and address over and over again on every envelope. 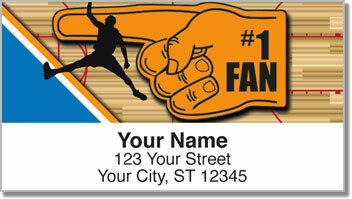 Get your very own Blue & Orange Basketball Address Labels now.